Warner's DC Extended Universe will launch into full gear on March 25 with the release of the highly anticipated Batman v Superman: Dawn of Justice. 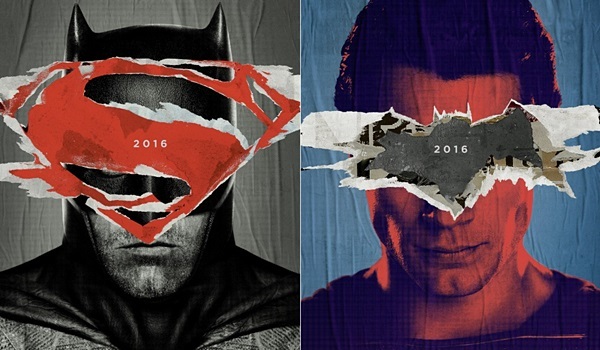 The film represents the second installment of the DC Extended Universe, following the release of 2013's Man of Steel. BoxOffice feels that the additions of Batman and Wonder Woman will lead to a healthy increase over the performance of Man of Steel, but at this point, we're also cautious when it comes to the Batman v Superman potentially reaching the box office heights of previous superhero blockbusters such as 2008's The Dark Knight, 2012's The Dark Knight Rises and last year's Avengers: Age of Ultron. Also opening on March 25 will be Universal's My Big Fat Greek Wedding 2 and Relativity's The Disappointments Room. While it isn't expected to come anywhere close to duplicating the surprise box office performance of its predecessor 14 years ago, My Big Fat Greek Wedding 2 is expected to serve as a solid piece of counter-programming to Batman v Superman over Easter weekend. On the other hand, we don't expect much from The Disappointments Room. - 2013's Man of Steel opened with $116.6 million (when not including its Thursday Walmart previews) and went on to gross $291.0 million domestically. - As mentioned, adding both Batman and Wonder Woman into the DC Universe mix should help lead to a healthy increase over the performance of Man of Steel, as Batman v Superman has more of an event feel to it thanks to those additions. - Early Twitter activity for Batman v Superman has been healthy, but not out of this world. This far out the film has been performing stronger than Jurassic World and Furious 7, but significantly softer than Avengers: Age of Ultron at the same point in their respective cycles. - With the performance of Batman v Superman being extremely important to the future of the DC Extended Universe going forward, Warner Bros. will be sure to push the film as hard as it can. - While Man of Steel performed well at the box office, critical reaction to the film was mixed and word of mouth among moviegoers was fairly average. - The decision to relaunch Batman so soon after The Dark Knight Rises does have a level of risk to it, especially given how highly The Dark Knight Trilogy is regarded among moviegoers. - Demand for Batman v Superman could be limited a bit by so many other high-profile comic book adaptations being released in such a relative short amount of time. Fox's Deadpool, Disney's Captain America: Civil War, Fox's X-Men: Apocalypse and fellow Warner / DC Extended Universe film Suicide Squad (which features The Joker, among others) will all be released between February 12 and August 5. - 2002's My Big Fat Greek Wedding was one of the biggest surprise hits of all-time, as exceptional word of mouth eventually carried the film to a total domestic gross of $241.4 million (without adjusting for ticket price inflation). - My Big Fat Greek Wedding 2 seems like a smart counter-programming choice to Batman v Superman. Back in 2008, Mamma Mia! opened with $27.8 million when opening the same weekend as The Dark Knight. - Waiting 14 years for a sequel (as opposed to a franchise relaunch) is a very long time, especially when the audience of the original film skewed towards older moviegoers to begin with. - There was certainly a catching lightning in a bottle aspect to My Big Fat Greek Wedding. It would be tough for a sequel to come anywhere close to duplicating that, even without a 14 year wait. - Early Twitter activity for My Big Fat Greek Wedding 2 is lackluster, though the film does have a bit of a presence on Twitter. The film has been running 33 percent behind the Twitter activity levels for Sisters at the same point in its cycle. * Indicates a four-day weekend.